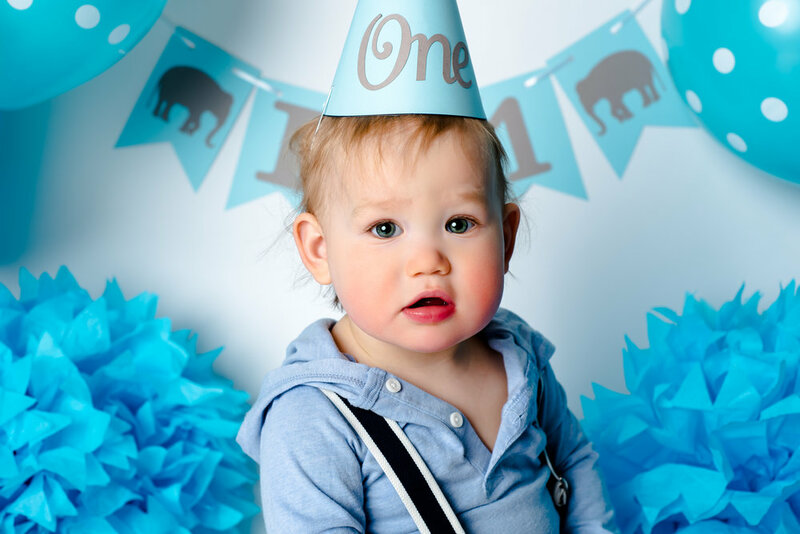 It's time to celebrate your one year old's big day and why not end it with a smash! 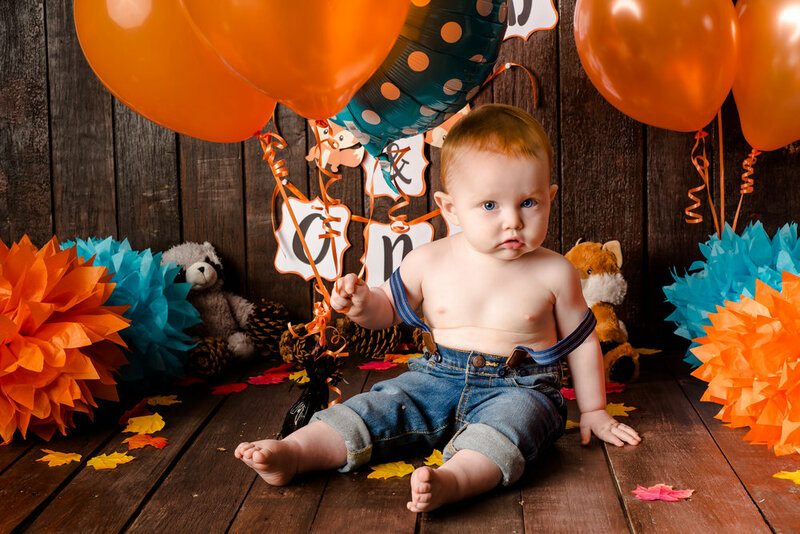 Each session begins with photos of the set by itself, the cake by itself and then the baby by themselves. The reason we do this is to preserve each and every detail of the session. This allows your soon to be superstar the time they need to get comfortable with all the props. Since we are very meticulous and want these photos to be special, we work with you to pick the colors, backdrops, theme, style and so much more. Every session is customized so that each set of images is different from someone else's. You can expect to receive your fully edited images within 1-2 weeks after the session. This allows us to make sure your images are as perfect as they can be. Are you worried about finding props, backdrops and someone to make a cake? Let us do it for you, we want to take the stress out of the equation. We are happy to help.